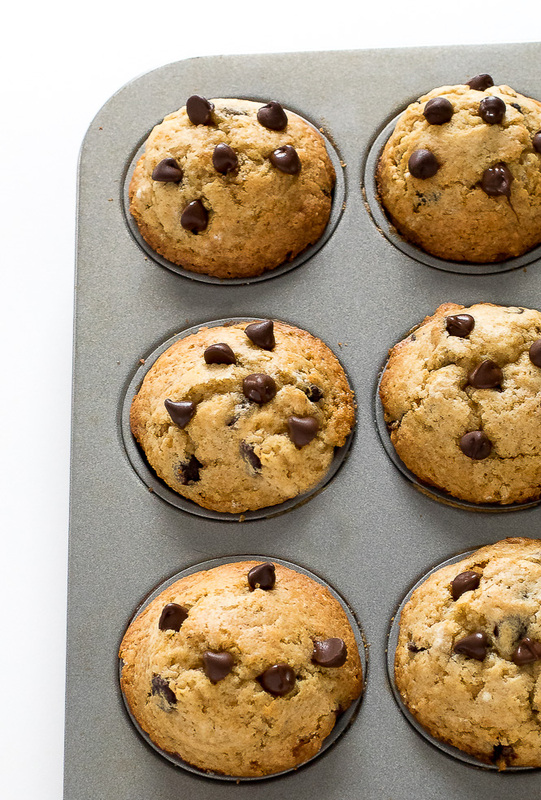 Super soft and tender Chocolate Chip Muffins. Loaded with semi sweet chocolate chips. Perfect for breakfast or as a snack! 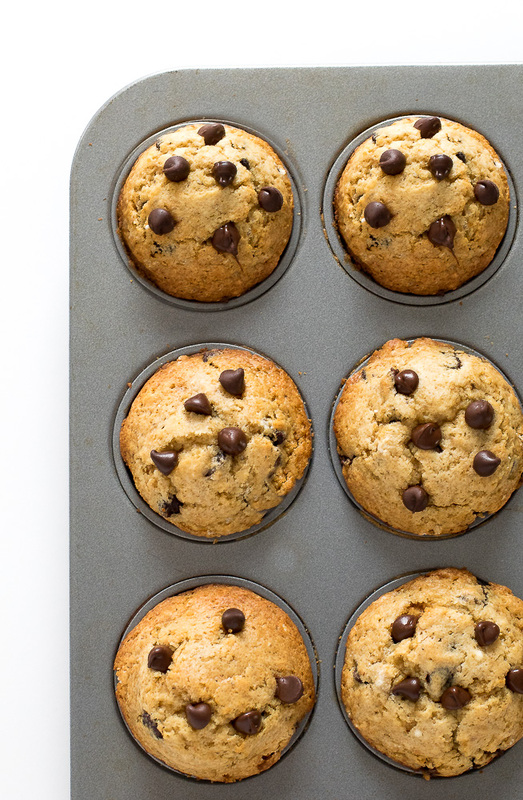 These Chocolate Chip Muffins are super easy to make. All you need is two bowls and some pantry staples. Simply mix the dry and wet ingredients in separate bowls then fold the wet ingredients into the dry. 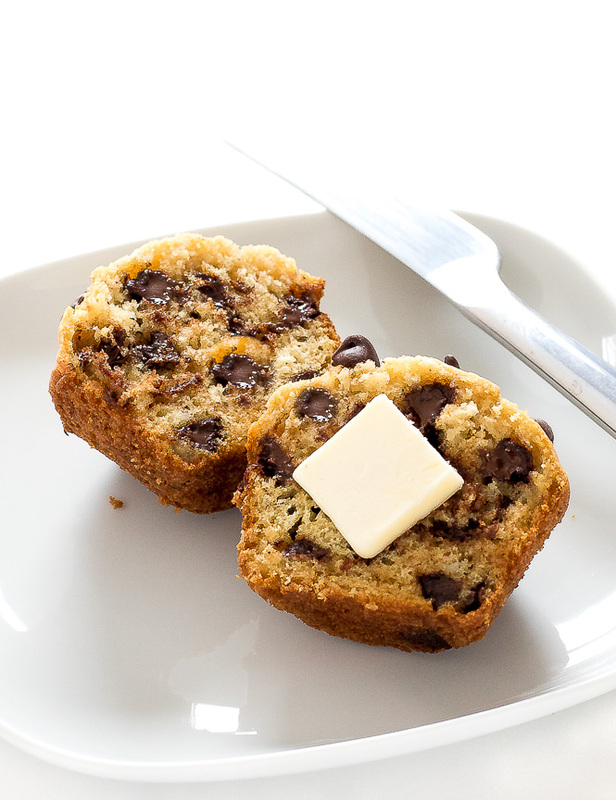 Mix in some chocolate chips then divide the batter into a greased muffin tin. Bake at 425°F degrees for 5 minutes then reduce the oven temperature to 375°F and continue to bake for another 12-15 minutes. This helps the muffins bake higher and gives them a domed top. The melted butter adds extra chewiness and the extra step of browning adds a nice toffee flavor. Simply heat the butter in a small saucepan over medium heat. Cook for about 5-7 minutes swirling the pan occasionally. I recommend using a lighter colored saucepan when browning butter. It makes it easier to tell when the butter has browned. 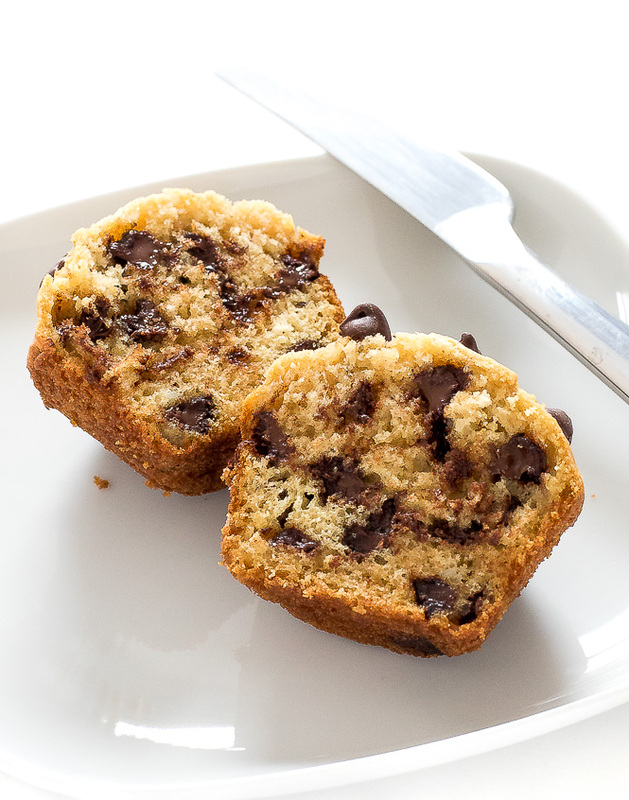 Store these Chocolate Chip Muffins in an airtight container at room temperature for up to 5 days. 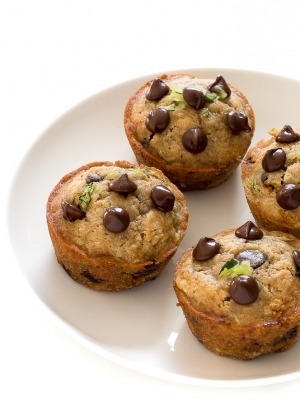 Serve these muffins as an easy on the go breakfast or mid day snack! Preheat oven to 425 degrees. Grease a muffin tin with non stick cooking spray. Add butter to a medium saucepan and heat over medium heat. Cook butter stirring continuously until it turns golden brown and smells nutty. This takes about 5-7 minutes. Allow the butter to cool completely. Once cooled add the butter to a medium bowl along with both sugars, eggs, milk and vanilla, set aside. In a large bowl toss together the flour, baking soda, baking powder and salt. Add the wet ingredients to the dry ingredients and fold just until combined. Do not over mix. Divide the batter evenly into the prepared muffin tin. Bake for 5 minutes. 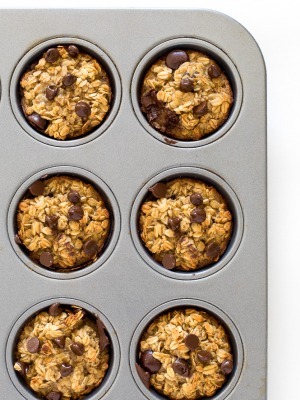 Allow them to cool in the muffin tin for 5 minutes then remove them from the muffin tin onto a cooling rack to cool completely.